WorldWind16HAN/16/21/26/32/42 are a telescopic lattice tower ( crank up tower ) used for supporting telecommunication antenna, camera, and light. Its height can be controlled by digital controller (as the user see it fit). Wind & Height controller enables you to stop the tower at any height-point and stop it automatically with sensing the wind speed. 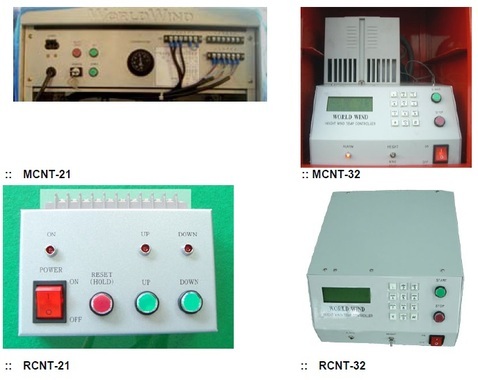 WW16/21 use a common main controller ‘MCNT-21’ and WW26/32/42 use ‘MCNT-32’. WW16/21 use a common remote controller ‘RCNT-21’ and WW/26/32/42 use ‘RCNT-32’. 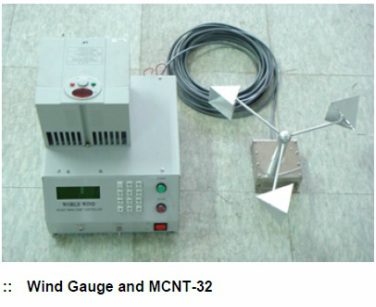 On ‘MCNT-32’, user can install Wind Gauge to enable MCNT-32 (Wind & Height Controller) to perform a function of monitoring wind speed. There can be a little alteration due to users’ requirement for each different model. WW16HAN is equipped two manual winches. One is for telescoping movement, the other is for tilting over movement. WW16HAN model has no remote controller system.